Very good read! Enjoyed it from the beginning to the end. Interesting to travel back in time with the character. Looking forward to B. Gallagher’s next book! 5.0 out of 5 stars. Exciting, could not stop reading. This is a wonderful book for all ages and definitely teens would find this fascinating, girls and boys alike. There is action, romance and family ties. I would recommend this to anyone. I really enjoyed this book. I could not put it down and have told all my friends about this book. I can’t wait for the next book to come out. I would recommend this book to everyone I know who likes to read and those that don’t read. What a fantastic story – you won’t want to put this book down. You will be quickly drawn into the characters and storyline! 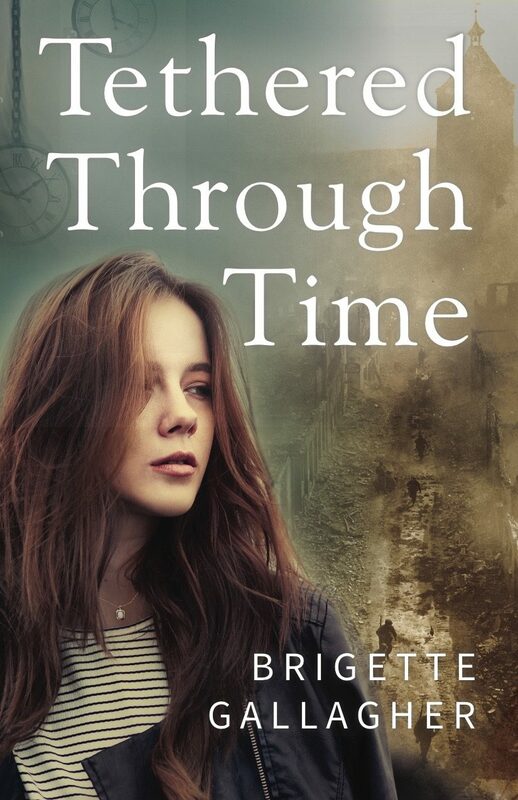 This is a sweet time travel story set between WWII and current day with a young woman trying to save the life of her great-grandfather. Great book! Easy read, perfect book for lazy summer afternoons. 5.0 out of 5 stars. Fantastic! An amazing book is one that inspires you to write a review that makes other’s want to read the book. Tethered Through Time was that book for me. It will draw you in and leave you smiling. I can’t wait for the next book by Brigette Gallagher! Outstanding book! Buyer beware, schedule time to read it because once you get into it you won’t want to put it down. I’m looking forward to more books from this author. I just finished reading this novel in 2 sittings. I must say, it was a fun, fast read. The author is able to hook you right away and make you curious enough to keep going. Within the first three chapters, I HAD to know what happened! I also really appreciated the way her military service and experience as an Army Wife, showed through in some of the small details, emotions, and personal experiences in the battle scenes. I look forward to reading more books in the future from Mrs. Gallagher. Great read! Be ready to have to read it till the end in one sitting! Wonderful easily followed story. Can really feel the characters. Highly recommend.